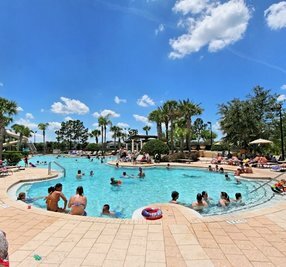 1 mile to Disney property, gated resort, 4 master suites, LCD TVs in every room and a heated pool� what more do you need?! 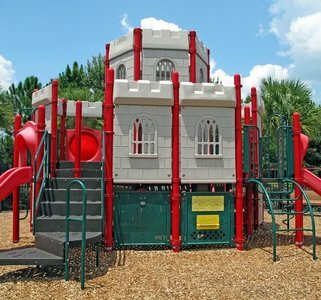 This Disney World vacation home has a semi-private back yard and a grassy area for kids to play. In bedrooms 1, 2 and 3 will be a King size bed and a 20� LCD TV with DVD. Bedroom 4 has a set of Twin beds and a 20� LCD TV with DVD also! There is plenty of seating provided to kick back and soak it all in with leather sofas, sitting chairs, bar top counter, dining table and outdoor patio furniture. Rent a grill, pick up some steaks and cold drinks and have a cook out by the pool. The open kitchen is great for entertaining and has granite countertops with stainless steel appliances. Relax in the heated spa after a long day at the theme parks. There is tile flooring everywhere except the bedrooms! The living room features a 42� LCD TV. The game room has a 32� LCD TV, pool table, air hockey and leather sofa. This home will not disappoint!! Deposit: $350 deposit due at time of booking to hold property. Cleaning: cleaning fee of $130 will be added to quote. 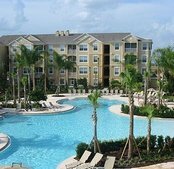 Additional Notes: Pool heat $25/day (recommended Oct-May). Check in time � After 4:00 p.m. on arrival date. Check out time � By 10:00 a.m. on departure date. Early arrival or late checkout may be available for an additional charge. Please verify availability with the owner or property manager in advance. Late checkouts without prior authorization will be billed at $100/hour. 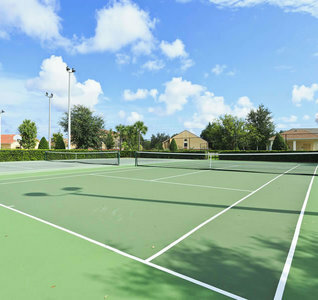 All of our luxury Orlando rentals include central air and heat, bath towels, pool towels, bed linens, full size washer and dryer, hair dryers in each bathroom, pack n play portable crib, highchair, iron, ironing board, high speed internet with wireless capability, telephone service and a fully equipped kitchen with all appliances, coffee maker, microwave, pots, pans, dishes, glasses, cookware, utensils, etc. 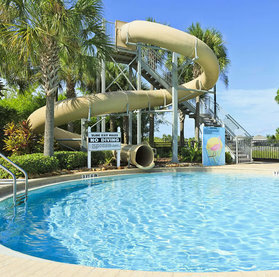 All luxury pool homes will have child safety alarms on all doors leading to the pool area! 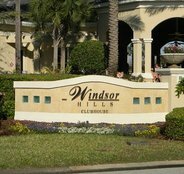 Windsor Hills Resort is the Closest Residential Community to Disney World property. 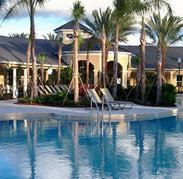 The 24 hour guard gated community has luxury Disney rentals and is the very best of its kind. There are many shopping plazas close by with restaurants such as Bahama Breeze, Sweet Tomatoes, House of Blues, Kobe Steakhouse, Charley�s Steakhouse, Pei Wei, Chuy�s Mexican Restaurant, Wolfgang Puck�s, Paradiso 37, Bonefish Grill, Rainforest Caf�, Outback Steak House, Denny's, TGI Fridays, Menchie�s frozen yogurt, IHOP Restaurant, Panera Bread, Chili�s, Longhorn�s Steakhouse, Tijuana Flats, Miller�s Ale House, Applebee�s, McDonald�s, Burger King, Chick-fil-a, Panda Express, Checkers, KFC, Joe�s Crab Shack, Flipper�s Pizza, Macaroni Grill, Pizza Hut, Cracker Barrel, Golden Corral, Red Lobster, Olive Garden, Texas Roadhouse, Pollo Tropical, On the Border, Hooters, Subway and of course all the Walt Disney World dining options here in Orlando, Florida. There is a Starbuck�s and Dunkin� Donuts for morning coffee on the go! There are several golf courses within a few miles. 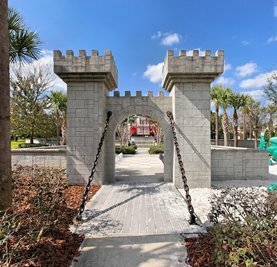 Two Mini Golf courses, a new flea market and shopping are nearby. Located near the homes are grocery stores such as Wal-Mart, Target, Winn Dixie and Publix and liquor stores. There is also a hospital, drug stores and an urgent care clinic all within 5-10 minutes.